Large utility/laundry room with sink and add'l storage. Heritage amenities! MLS#2226615. 297. Garage w/Work Space! Unfinished 3rd Floor! 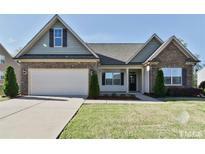 MLS#2223894. 1128. Master Bath: 12x24 Tile Floor, Separate Vanities w/Cultured Marble Cntrtops, LARGE Walk-In Tile Surround Shower, Private Water Closet, Walk in Closet w/Custom Shelving! Screened Porch! MLS#2223902. 1128. Cedar Lakes - Porch made for enjoying this 1/2 acre homesite and woods behind the home. Front office with french doors. MLS#2222812. 3789. Cedar Lakes - wonderful screened in porch made for out door living. Extremely popular Azalea plan. MLS#2222818. 3789. 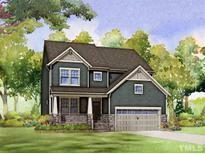 Top if all off with a spacious screened in porch and a 3 car garage and you have the perfect ranch plan. MLS#2218879. 810. 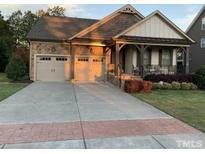 Cedar Lakes - This floor plan enjoys a great island kitchen with upgraded appliances opening to the family room. MLS#2214845. 3789. 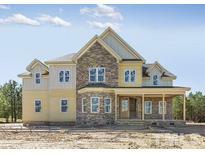 Cedar Lakes - There is a dramatic staircase and 2 story foyer that is lovely. MLS#2214849. 3789. 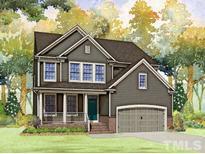 Averette Ridge - Custom; Large Wrap-around Porch; Iron Picket Staircase; Hardwoods, Tile, Frieze Carpet; Crown, Sills & Casings; Gourmet Stainless Kitchen w/Island, Granite Counters, Double Wall Oven & Travertine Backsplash; Coffered Dining & Sunroom Ceilings; Double-Sided Gas Fireplace w/Mantles; 3-car Gar w/cabinets; Large Master Bedroom w/Drop Tray ceiling; Master Bath w/Tile Shower & Seat, Jet Tub, Dual Sinks & Walk-in Closet; Large Bonus w/Half Bath; Dual Zone A/C; Built-in Closets; & Much More! MLS#2204777. 318. Community HOA includes Granite Falls Swim and Athletic Club offering a 60,000 sq.ft full service athletic center with outdoor and indoor pools. MLS#2205694. 1103. This home is able to meet the lifestyle needs of many. MLS#2204758. 810. Carlton Pointe - 2nd floor InLaw Suite or Bonus w/FullBth! MLS#2203899. 1128. Carlton Pointe - FmRm: "WhiteMarble" Srrnd GasLog Fireplace w/Mantle & Fan! MLS#2203553. 1128. Covered Rear Patio! Large Garage w/Work Space! MLS#2198293. 1128. Covered Rear Patio and Front Porch! MLS#2196553. 1128.